Home > Cadets at UW-Whitewater Tonight!! Hey, Waukesha West Marching Band enthusiasts!! (You know who you are….) The Cadets of Waukesha West will present a phenomenal performance at UW-Whitewater’s Perkins Stadium tonight at 6:45 PM, and you don’t want to miss it!! Check out the link to the WSMA State Marching Band Championships for more information. See you tonight. Make some noise! 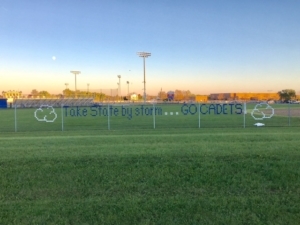 Stand and cheer for our Cadets!!! !